Stock due to arrive the first week of February, to start shipping around the 7th. 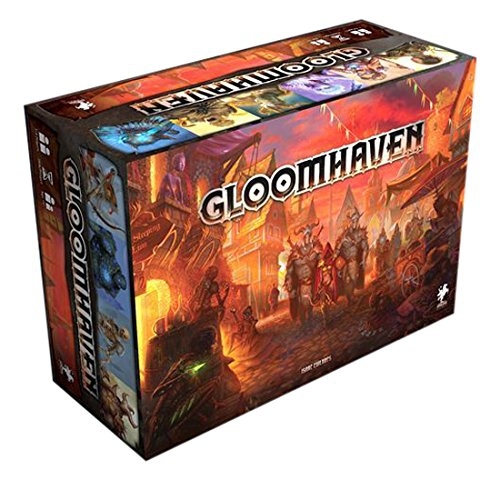 The price is £139.99 including VAT and postage, there is no express shipping option for Gloomhaven (it's too big!). Gloomhaven is a game of Euro-inspired tactical combat in a persistent world of shifting motives. Rated #1 best game on BoardGameGeek.